Rent Residence Inn Miami Aventura | Corporate Events | Wedding Locations, Event Spaces and Party Venues. Discover South Florida while enjoying stylish extended-stay accommodations at the Residence Inn Miami Aventura Mall, where our hotel's modern suites put guests near Sunny Isles Beach and other top destinations. You'll feel at home in our well-appointed studio, one- and two-bedroom suites, all of which feature a full kitchen and separate spaces for living, working and relaxing. Make the most of your travel time and budget with our complimentary amenities, including a grocery shopping service, Wi-Fi throughout the property and a hot breakfast buffet. Guests also enjoy access to our beautifully landscaped outdoor pool and well-equipped fitness center. Utilize our 5,000 square feet of flexible event space supported with on-site planning and catering services for your next group or business event. Our location is perfect, near Aventura Mall, Gulfstream Park and Sun Life Stadium. Visit the Residence Inn Miami Aventura Mall and experience a truly rewarding hotel experience. Residence Inn Miami Aventura Mall has over 5,000 sq. ft of flexible meeting space, including outdoor space, pre function area, private ballroom. -AM Coffee Break, Lunch Buffet, PM Coffee Break. 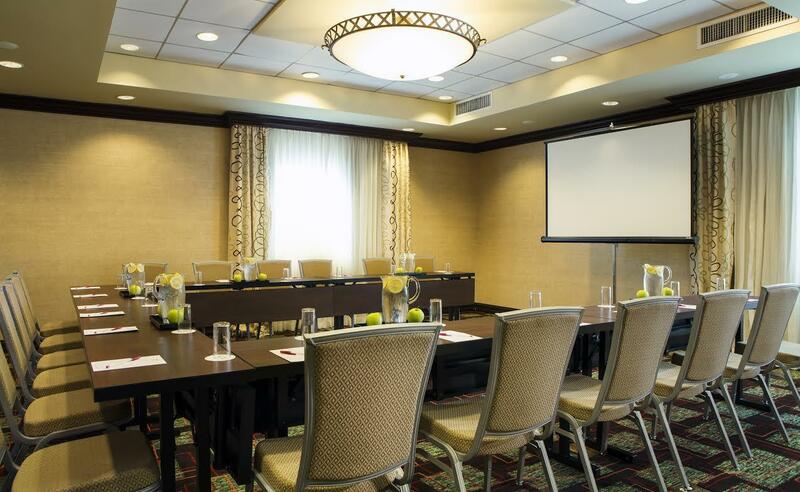 -Meeting Space with Projector Screen, LCD Projector, Power Strips, Wi-Fi , & Self-Parking. -Only $65.00 ++ per person per day. We welcome you to Aventura with 5,000 square feet of flexible venue space for your wedding or event. Our largest banquet hall is the combined Royal Palm venue, which can accommodate up to 150 guests. Out-of-town wedding guests will love our North Miami location and our modern, spacious hotel suites. Our team offers a range of catering options for your banquet or event, including Kosher menus. Book a group rate when planning an event at the nearby synaguoges and Spanish Monastery venue. Host a wedding with us, and enjoy the sunny Florida weather in Aventura during your event.